He resembled the comedy Colonel of the theatre, slight, and monocled. 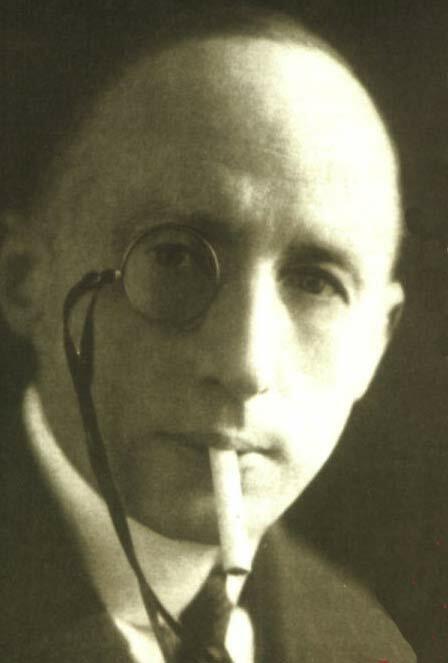 A British Army officer and author who after service in World War I was responsible for Intelligence operations in Ireland. Winter was a Royal Artillery officer and served in the First World War. He was appointed as Chief of the British Army intelligence branch and deputy chief of police in Dublin where he was known as "O," and "the holy terror". 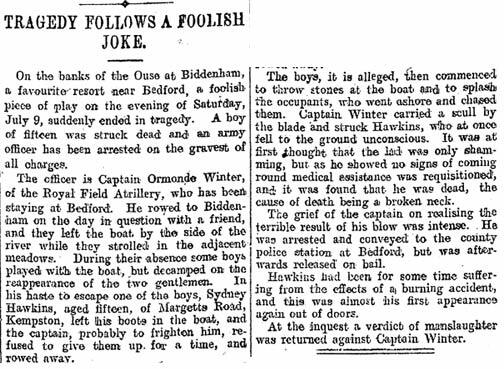 Draconian in outlook he was reported to have precipitated the suicide of three of his juniors, though I have not been able to substantiate this..
Ormonde de l'Epee Winter was the son of William Henry Winter and Fanny Cheney. Sturgis diary says "O is a marvel - he looks like a wicked white snake and can do everything. He is an Artillery Colonel and cammanded a Division of Artillery in France: in India they say he was tried for murder for a little escapade while doing secret service work. He started a race course near Calcutta and made a pot 'o money. He is as clever as paint, probably entirely non moral, a first class horseman, a card genius, knows several languages, is a super sleuth, and a most amazing original. When a soldier who knew him in India heard that he was coming to Ireland he said "God help Sinn Fein, they don't know what they are up against"
He was appointed by the Home Secretary, Winston Churchill. He lacked experience in the espionage field but impressed with his initial reorganisation of heavily centralised departments. Mark Sturgis wrote "'O' is a marvel, he looks like a wicked little white snake, he can do anything" . Some of his men met their end on Bloody Sunday in November 1920. Amongst Winter's other ideas was the 'The Raid Bureau', a unit dedicated to analysing the vast amounts of paperwork generated by IRA leader Michael Collins. An obsessive clerk, his dedication to paperwork would to some degree compromise certain activities of the IRA, revealing arms supplies, financial records and even providing lists of IRA members and the identities of traitors within the police. Such documents were more valuable than any informer and could be presented in court as evidence which an informer would be unwilling to do. The principal reason for lack of informers, jury, and even judges in the civil courts was intimidation, which was one of the reasons martial law was in place. Winter was able to recruit at least three leading IRA members as informers and many lesser ranks. Again I have not been able to ascertain who they were. Also, to counter IRA propaganda, Winter published his own versions of IRA newspapers, skillfully edited to subvert the Irish republican cause. 1921 Jun 2. Ambushed and shot in hand while driving out of Dublin Castle. Winter retired from the army in 1924. Later in the 1920s Winter joined the directorship of the burgeoning but badly managed British Fascisti, which held several massive rallies (12,000 at one) in the London Parks. There is the thought voiced that Winter may have been an agent provocateur. The director was Brigadier General Robert Byron Drury Blakeney ex Royal Engineers who was in part responsible for the birth of the extremist Imperial Fascist League. Through mismanagement and scandal the BF faded into obscurity in the late 1920s and membership was swallowed up by other fascist movements. In his book Winter makes virtually no mention of this period. After the financial demise of the BF, he apparently took no further part in Fascist politics. 1927 Aug 3. He married Marjorie Effie Bowes-Lyon, daughter of Hon. Ernest Bowes-Lyon and Isobel Hester Drummond. Winter lived at Worthing, Sussex, England. In 1940 at the age of 65, he offered his services to the Finnish Army, in their successful defence against Communist Russia. 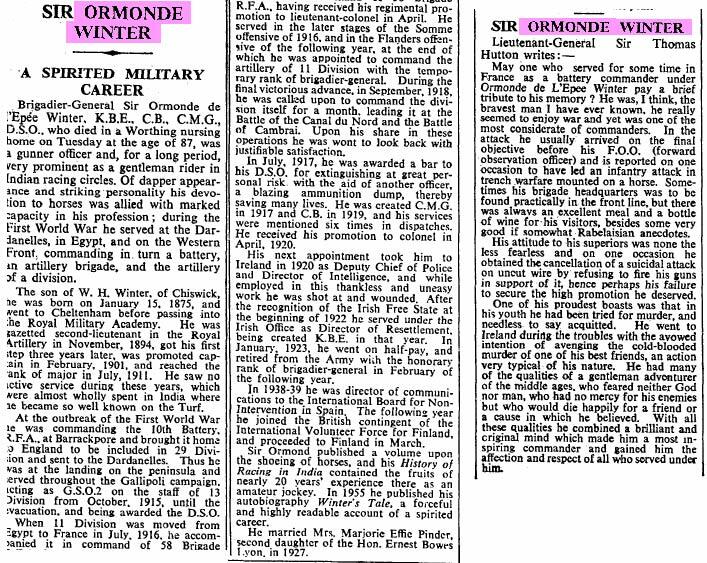 He was honoured for his service - certificates can be seen in his personal collection in the Imperial War Museum. He was a master of five Russo-Slavic languages and was a chain smoker. His obituary read that he neither feared God nor man, (Times Obits) and he boasted of having being cleared of manslaughter in his student youth, in an incident when a man was struck on a river with a rowing oar whilst attacking Winter. I cannot substantiate this from any times reports, but there is a Times report of Basil Clarke being sued for attacking a man with an oar and I suspect the writer has confused the two events.